South Haven, Michigan is a popular family summer vacation spot filled with beautiful beaches, harbors and a thriving downtown district. 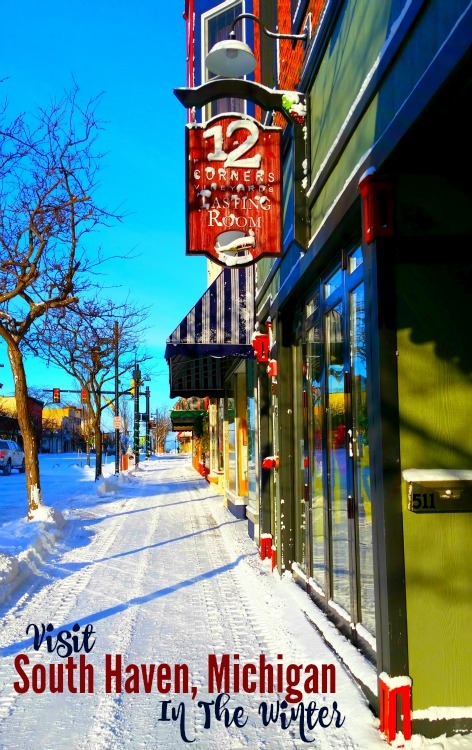 However, in the “off season” when the streets and lakes are covered in snow and ice, South Haven becomes a colorful winter wonderland perfect for couples looking to get away for a little bit of romantic seclusion, wine, fine dining and even a fun retro date night experience. 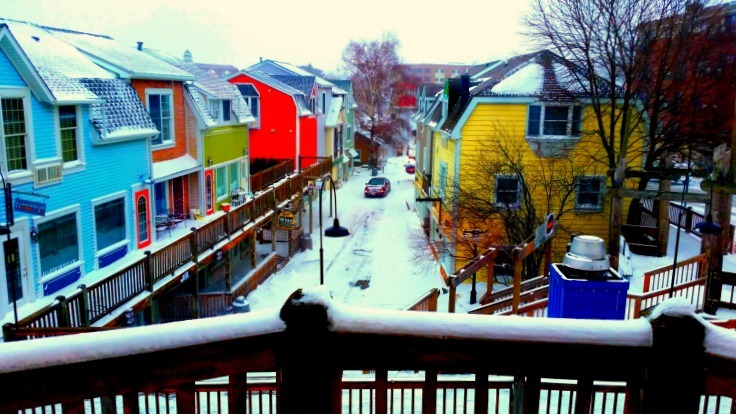 If you’re looking for a weekend getaway without the kids, without the crowds and with “off season” pricing, read how my husband and I put together a romantic winter weekend with a trip to the southwest side of Michigan. During the summer months South Haven, Michigan, is a go-to destination for many families and young adults because of its quaint downtown area, happening riverside bars and access to Lake Michigan fed beaches. However, in the winter months when most of the little harbor shops have closed up and gone home, South Haven becomes a beautifully colored landscape of peaceful winter sights, bundled up with a few of my other favorite things: good food, wine, entertainment, eclectic views and an boutique style hotel overlooking the downtown/harbor. 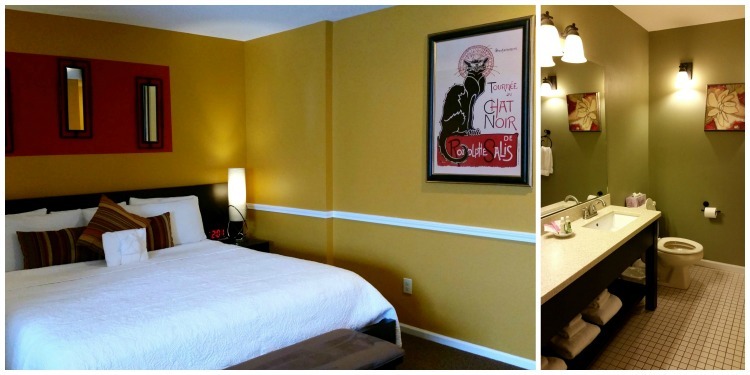 While there are a couple of different lodging choices in South Haven, we decided to stay at the Old Harbor Inn because of its close proximity to the downtown area and its eclectic disposition. The Old Harbor Inn is a quaint hotel with rooms that overlook the downtown streets of South Haven or the shores of the Black River, which sits directly behind the building. What we loved most is that this hotel mixes a historic “fishing port” feel with a more modern night stay and amenities. We also enjoyed that many of the area’s attractions were easily within walking distance from our room, even on a chilly winters day. Overall the hotel was clean, the rooms were spacious and the view was perfect – plus some of the rooms choices even included a fireplace! On the day we headed to the winery the snow was in blizzard form. However, when we arrived to the winery the driveway was freshly plowed and the operator/owners had a warm fire blazing in the fireplace, fresh pretzels for snacking and a full line of wine available for our tasting. 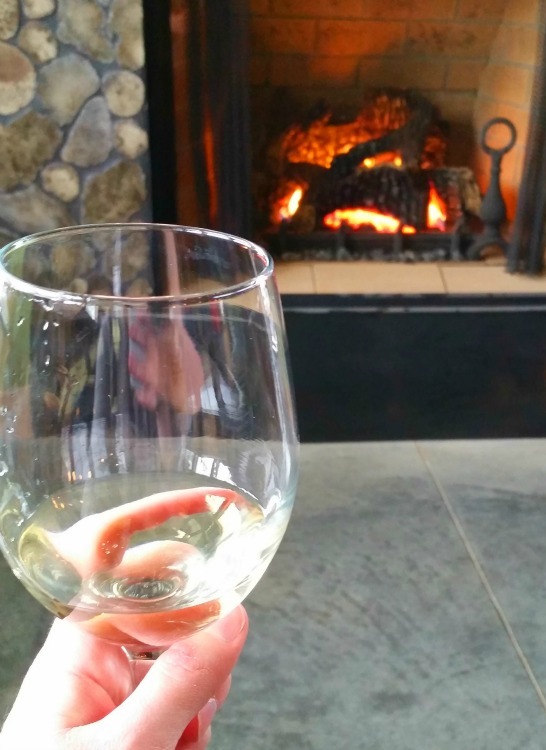 After picking out our favorite wine from the selections, my husband and I sat by the fire in the lobby and enjoyed a relaxed conversation with the other winery patrons. We enjoyed finding out that the winery is a labor of love between the two married owners who make their own wine together with the grapes grown on site during the summer months. We also found that visiting this winery in the winter meant a more dedicated experience for us and a welcomed relaxing afternoon overlooking the snow covered vineyards. 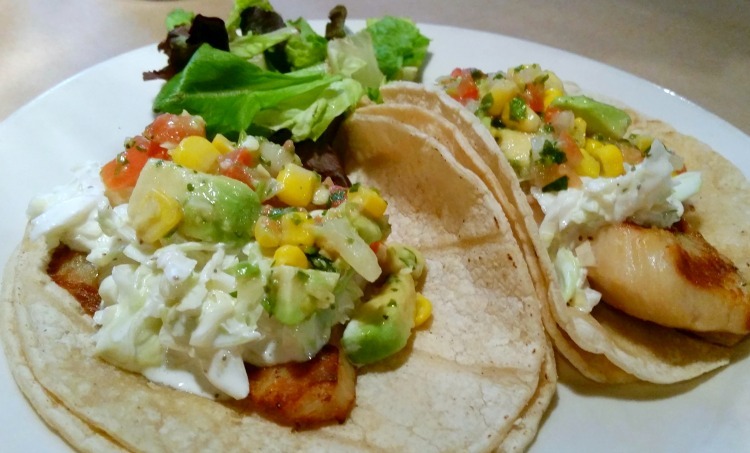 Just a few blocks away from the Old Harbor Inn is a fresh restaurant serving up small appetizer style meals that are made specifically for sharing. The idea of the restaurant – appropriately named TASTE – is for patrons to order several small plates per person, then share among yourselves in order to taste test more of the menu together. It’s a fun twist on modern dining and makes the meal more interactive between dining companions. Plus, how often is it that you can “try a little bit of everything”? TASTE also offers an extensive martini menu to compliment it’s small plates. 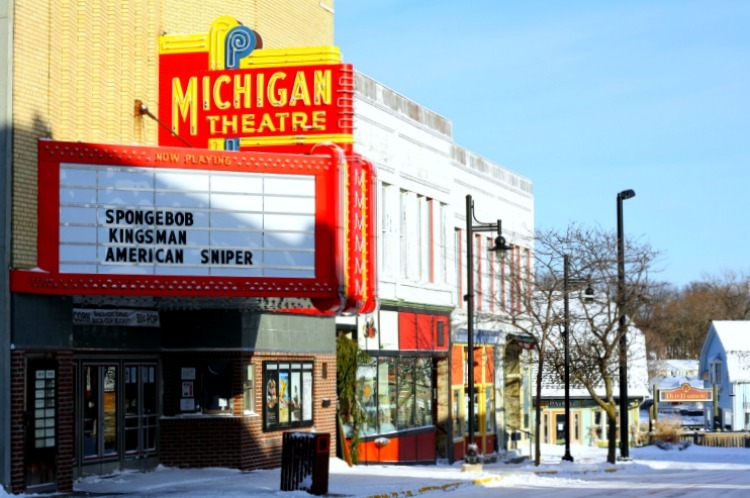 The Michigan Theatre is a retro style movie theatre which screens new movies at throwback prices – plus offers pop and popcorn at the same retro fashion price! After dinner you can walk under the theatre’s large bulb lights to catch a film together and then simply walk around the corner back to the Old Harbor Inn to stay the night – the two are almost right next door! As of the time of this posting matinee prices were only $4 per ticket and evening shows were $5.50. Plus, with ticket purchase, pop was only fifty cents! Definitely a step back in time! While you are in the South Haven area, don’t miss a chance to walk through the beautiful downtown streets and shops or wander over to see the magnificent South Haven Lighthouse. Both were experiences I was glad I didn’t miss. Where are your favorite places to visit in South Haven? Tell us in the comments.